One of the biggest objections you could make to the otherwise accomplished novels I’ve looked at as part of my Neo-Victorian Voices series is that they are often peopled with ‘Mary Sues’—idealised characters who have surprisingly 21st-century morals and ambitions despite the 19th-century setting. In Michel Faber’s The Crimson Petal and the White there was the implausibly educated proto-feminist prostitute Sugar, in Erin Morgenstern’s The Night Circus the magical Cirque des Reves allows its inhabitants to live outside the strictures of Victorian society, and in Natasha Pulley's The Watchmaker of Filigree Street love blossoms between a civil servant and his Japanese watchmaker friend, without any internal struggles about the practicalities of pursuing an interracial homosexual relationship in 19th-century London. 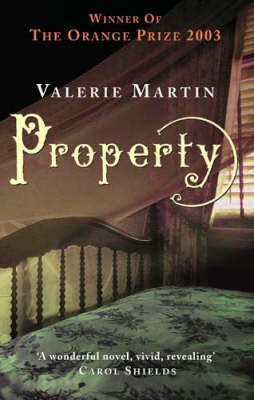 Valerie Martin’s Property, winner of the 2003 Orange Prize, runs into no such issues. With unflinching realism it tells the story of a white plantation owner’s wife in the American South, in her own words—and her views are every bit as foreign to our modern way of thinking as you’d expect. 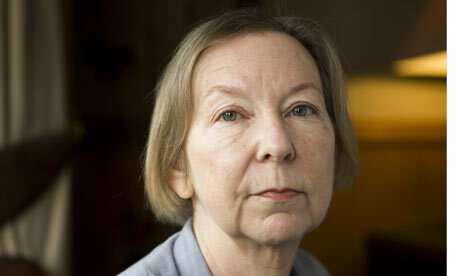 Manon Gaudet is a victim of a patriarchal society, epitomised by her nameless and tyrannical husband. She’s denied the right to own property or determine the course of her life and is unable to ward off her husband’s unwanted sexual advances. But she fails to note the obvious parallels between her position and that of the black slave Sarah (by whom her husband has fathered two children) or that her position is one of extreme privilege when compared to all the slaves owned and used by her husband. Instead she is a perpetrator of abuse. She judges her husband for his cruelty in the opening moments of the novel, as he ‘tests’ the young men on the plantation and whips one for getting an erection in the course of his twisted game. But it becomes increasingly clear that she dehumanizes the slaves too, and, in one of the most shocking moments in the novel, she takes possession of Sarah’s body, just like her husband, drinking milk from her breast to comfort herself on the death of her mother. Reading Property as a white woman makes you feel dirty, horrified to think that you might be Manon had you been born into the world she inhabits. At the start of the novel, I was worried that the villainous husband was a little too morally straightforward, that this would be a book that put the ‘blame’ for the problematic history of the American South squarely on white men, but the ending shows that this is a story about how escaping a racist patriarchy doesn’t just mean escaping one man or men. Manon is part of the problem, even if she suffers for it. And Martin isn’t going to swoop in with a moment of unlikely revelation for her, even if her protagonist is aware that others, in the North, think about black men and women differently. Short, tautly written and quietly brilliant, Property is well worth reading—just don’t expect a happy ending. What should the Secret Victorianist read next in the Neo-Victorian Voices series? Let me know—here, on Facebook, on Google+ or by tweeting @SVictorianist. There’s something undeniably Victorian about Christmas entertainments—both musical and theatrical—especially when they have multigenerational appeal. In the last week, the Secret Victorianist was lucky enough to attend two productions often performed during the festive season and designed to appeal to the whole family—one with nineteenth-century, and the other with eighteenth-century, origins. 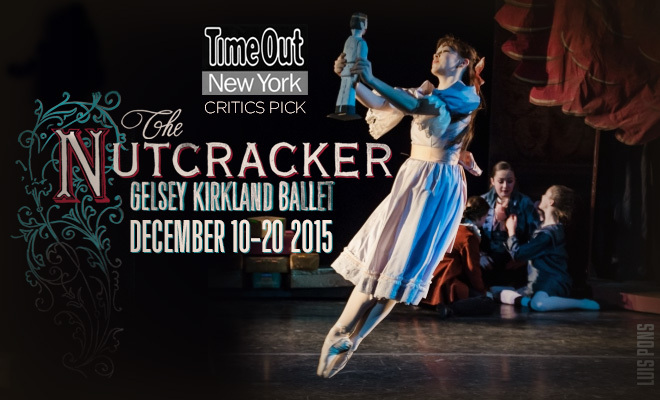 First up was Christmas ballet The Nutcracker, performed by the Gelsey Kirkland Ballet company in DUMBO, Brooklyn. The premiere of Tchaikovsky’s masterpiece was in 1892 at the Marinsky Theatre in St. Petersburg, but the ballet didn’t enjoy consistent repetition in the early years. With Russia’s ballet dancers fleeing the revolution in the early twentieth century, The Nutcracker wasn’t performed in Europe until 1927, when it was danced in Budapest, coming to London in 1934. With the release of Disney’s Fantasia in 1940, the now ubiquitous score became recognisable to American audience, but the first New York Nutcracker wasn’t until 1954. In the Gelsey Kirkland Ballet’s production, the girl at the centre of this festive fairy tale is Marie, as in E.T.A Hoffman’s 1816 story The Nutcracker and the Mouse King, rather than the now more common Clara (I blogged two years ago about the name ‘Clara’ and its Victorian history). Dawn Milatin stars and does a beautiful job capturing the character’s childlike excitement in Act One, before progressing to be a fully-fledged and more adult prima ballerina in Act Two. In this production, there is no Sugar Plum Fairy, no Land of Sweets. The focus is firmly on Marie and her Nutcracker Prince, danced by Erez Milatin – Dawn’s husband. The central pair excels and there are also captivating performances from the dancers playing the various ambassador dolls, but the standard of the lesser performers varies slightly (as you’d expect with the number of young dancers who are still in the Academy). Overall, despite some creaks in the set and the huge size of the collective company, the ballet was a joy – brimming with character and emotion and clearly delighting the hoards of young ballet-goers gathered for the occasion, arraigned in their tutus and excited to experience a Christmas classic for the first time. Next up was the Manhattan Opera Studio’s rendition of Mozart’s The Magic Flute at the Weill Recital Hall at Carnegie Hall. The opera premiered in Vienna in 1791 and enjoyed immediate popularity, racking up 100 performances in the first year alone. With its magical subject matter and array of colourful characters, the work continues to be loved by opera fans and those new to the art form, acting as a gateway opera, just as The Nutcracker is a gateway ballet. The Manhattan Opera Studio’s performance was a celebration of the organisation’s 125th anniversary and brought the magic of the story to life, even in the intimate recital hall, without the elaborate sets I’d seen in the Met’s production earlier in the year. The costuming however nodded to the work's rich performance history, with Sarastro (Hans Tashijan) in particular decked out so extravagantly he had to move sideways through the exit. The standard of singing was high, with Kyle van Schoonhoven as Tamino and the three ladies (Bridget Casey, Angela Dinkelman and Brittany Catalano) giving particularly good performances. And Nina Kassis, as the Queen of the Night, succeeded in hitting the high notes of the opera's famous arias. The acting however was definitely clunky, most noticeably in the more comic moments with Pagageno (Siddharth Dubey). I felt a little relieved every time the cast resumed singing. The recital-style performance in the gorgeous setting of the Hall (in use since the Carnegie’s opening in 1891) was a wonderful experience. Seeing the singers so close is something you don’t get exposure to in the cavernous Lincoln Centre and I also enjoyed being able to watch pianist and conductor Michael Wittenburg, who was onstage alongside the actors. Giacomo Puccini’s Tosca is based on an 1887 French play by Victorien Sardou and was first performed in Rome in the January of 1900. 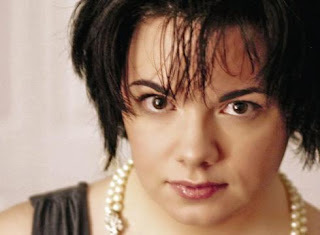 Yet this opera favourite is intimately connected to its setting – the Rome of 1800. The city’s inhabitants wait to hear the outcome of the Battle of Marengo, while, against the background of various Roman monuments, political strife leads to a series of personal tragedies. Unlike the Met’s Rigoletto, which I reviewed a few weeks ago for this blog, this Tosca is traditional in its appearance and costuming, as we journey from the Church of Sant’Andrea della Valle to the Palazzo Farnese and, ultimately, to the battlements of the Castel Sant’Angelo. This season sees a rotating cast of 9 taking on the opera’s lead characters. I saw Ukrainian soprano Liudmyla Monastyrska in the title role, with Italian tenor Roberto Aronica as Cavaradossi and Italian baritone Marco Vratogna as Scarpia. Monastyrska is charming in Act One, as Tosca flirts with Cavaradossi and struggles to contain her unfounded jealousy, but really comes into her own in her scenes with Vratogna, as she tries to free her lover from torture and protect herself from Scarpia’s advances. Rather than the steady descent into tragedy that many operas follow, what I love about Tosca is how close we come to a happy ending. Even though we know that their escape will fail, in this production there was something so touching about the lovers’ reunion that you almost start believing with them. 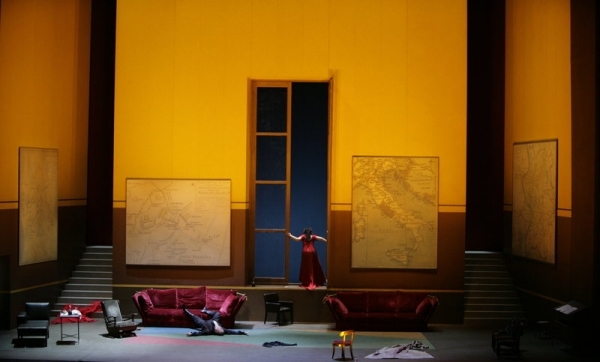 What’s more, with Scarpia dead - the ‘bad guy’ defeated – Cavaradossi’s death, and then Tosca’s, feels unfair rather than unavoidable, provoking an emotional response much more similar to losses we might have experienced in our own lives. The performance felt like a little slice of Rome over Thanksgiving weekend in New York City – filled with passion and dramatic in its staging, but still somehow relatable enough to be genuinely affecting. What do you think the Secret Victorianist should see next? Let me know – here, on Facebook, on Google+, or by tweeting @SVictorianist. Post-November it feels appropriate to write about one of the greatest successes to come out of NaNoWriMo (National Novel Writing Month) in recent years – Erin Morgenstern’s The Night Circus, which enjoyed widespread critical attention and seven weeks on the New York Times Best Seller List. The Night Circus straddles fantasy and romance, in a late nineteenth- to early twentieth-century setting, as Celia and Marco – orphans reared to develop their magical powers – compete in the environs of the mysterious travelling spectacle in a battle designed to leave only one victor. There is much to admire in the novel. It’s opening (‘The circus arrives without warning. No announcements precede it, no paper notices on downtown posts and billboards, no mentions or advertisements in local newspapers. It is simply there, when yesterday it was not.’) will probably – and rightly – be used as an example of a great ‘hook’ in creative writing classes across the English-speaking world. A hallmark of Morgenstern’s descriptions, which helps create the dreamlike atmosphere of the Le Cirque des Reves, is her imprecision. This is the Cloud Maze but the platforms it contains are only ‘quite similar to clouds’. We are reminded that this is only ‘what Bailey can see’ – there may be even more to this tent than we imagine. And what does the final sentence actually mean? Do parts of this construction float and drift or not? This imprecision, which can work so well, occasionally becomes irritating on close reading. What colour are the kittens in the following? But where Morgenstern’s vagueness is most detrimental to the novel isn’t in her descriptive passages but in her plotting and characterisation – to which this non-committal approach unfortunately also applies. 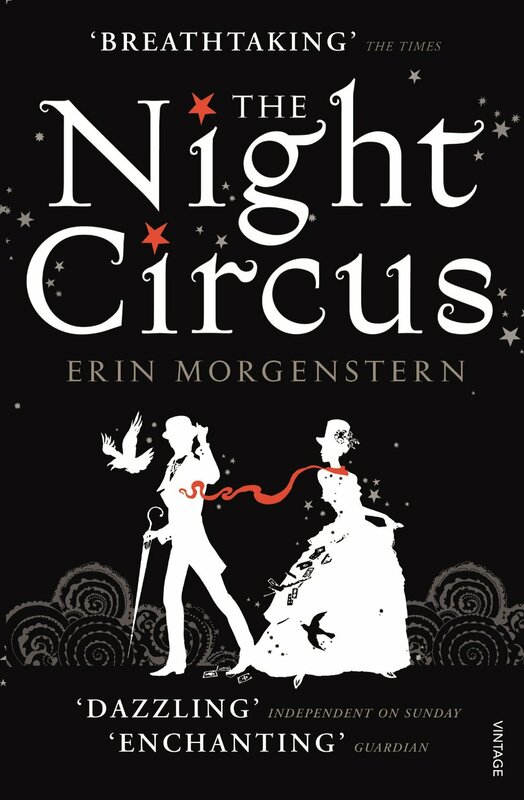 Billed as an epic love story and a fierce battle, The Night Circus reads like neither. It’s hard to feel for characters who you only understand on a superficial level, as more ink is spilled on describing their gowns, their apartments and their bowler hats than on exploring their interiority. The tension that should come from the deadly tournament never materialises, as you are sure there must be some escape in this world where the rules are constantly changing. Halfway through the novel, Marco and Celia admit to each other that neither wants to win. I was hopeful for a twist or a betrayal, but this is a Romeo and Juliet where everything goes to plan for the star-crossed lovers. Intrigued by the opening and pulled in by the world building, I kept waiting for clever storytelling to hit me hard, but the novel is the epitome of style over substance. The same is true of the historical setting. The characters don’t read as nineteenth-century at all, except in the visual cues Morgenstern borrows from the period, which is a shame as it would have worked well to have some sense of the real world the characters were escaping from. I was excited by the introduction of the ‘reveurs’ – visitors to the circus so enamoured by the experience that they create a subculture around following it around the world – thinking to find some clever interplay with late Victorian aestheticism, but this comparison went no further. The novel is what The Great Gatsby would be were it only a catalogue of Gatsby’s parties, it’s The Picture of Dorian Gray if Wilde’s story didn’t move beyond the environs of Basil Haywood’s studio on a summer’s day. That said, it’s worth reading. This too is one neo-Victorian novel that seems like a prime target for beautiful adaptation on film. But, while you may fall in the love with the night circus itself, it will be with the world - not the story. Which novel should the Secret Victorianist read next in my Neo-Victorian Voices series? Let me know – here, on Facebook, on Google+, or by tweeting @SVictorianist.